Scooter’s Dawg House! 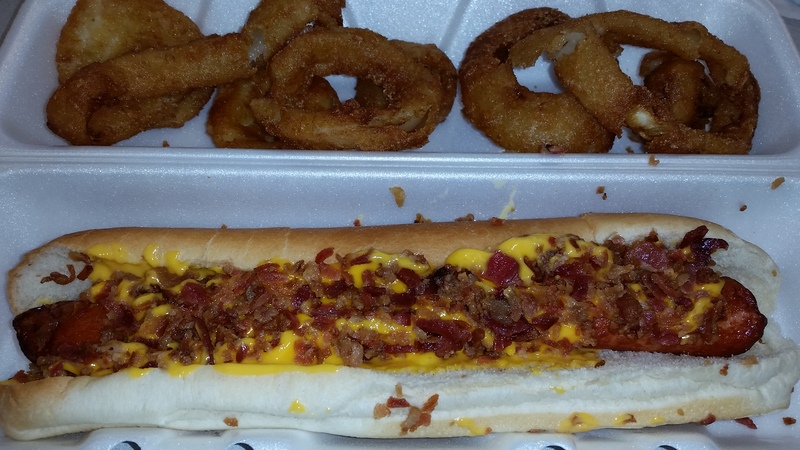 Not only do they have some of the absolute BEST onion rings around, but check out the dawg! This is a “Long” Bacon & Cheese Dawg and I can’t tell you how delicious it was. While one of their plainer offerings, it is hard for me to try anything else. 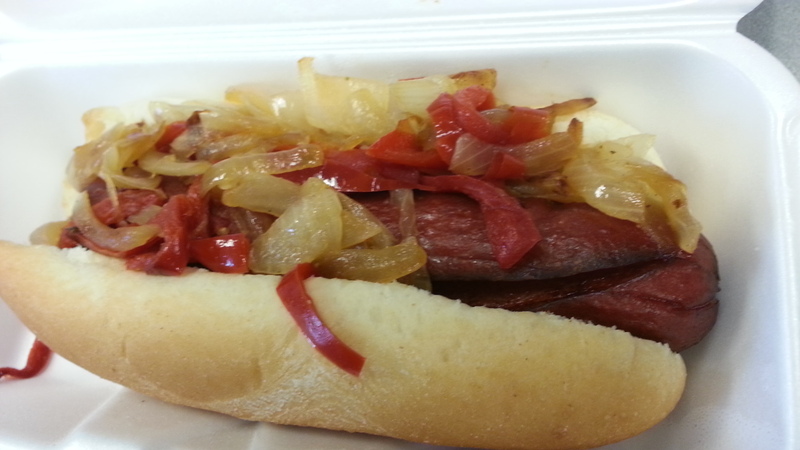 Before becoming so enamored by the Bacon & Cheese Dawg I had a brief relationship with this regular sized Cardinal Dawg, smothered with grilled onions and red peppers. They also offer the following free condiments to top off your dawg! Previous PostComfort FoodNext PostThis is the kind of wife I’m looking for! Life size Millennium Falcon FTW!